The role of a Compensation Analyst is of utmost importance for any organization, Compensation Analysts are professional specialized human resources who take charge of the crucial aspects of the company like Salary analysis, benefit structure, and Labor costs. The job role of a Compensation Analyst includes analyzing metrics, models, understanding salary trends, predicting future trends and to develop a beneficial compensation plan for the organization. As they are a part of the Human Resource Development, the responsibilities of Compensation Analysts are also extended in discharging duties during mergers, takeovers, drafting bonus programs and mainly during budgeting. 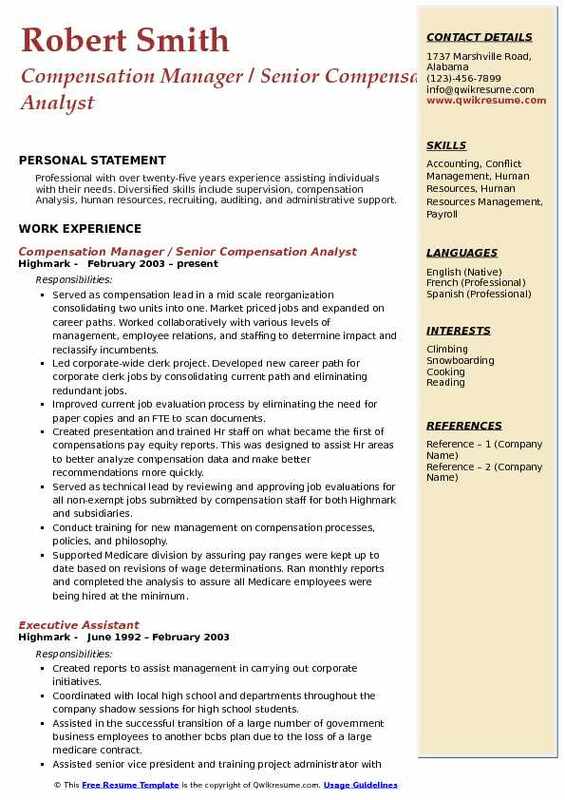 Prospective employers look out for a Compensation Analyst Resume sample which contains a Bachelors Degree in fields such as business administration, finance or Human Resource. 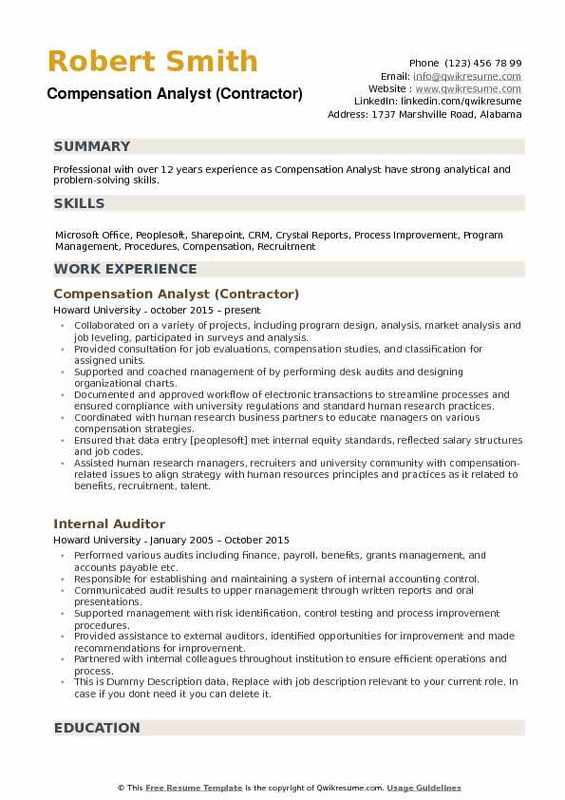 Few years of experience in Human Resource with a Masters degree shows an easy entry into reputed Firms as Compensation Analysts. 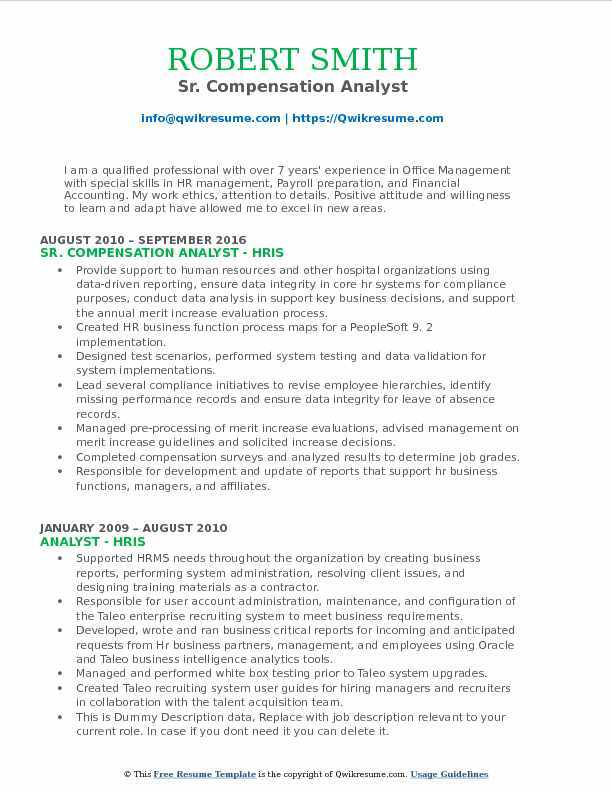 Summary : Seasoned Compensation and Workforce Analyst with more than 10 years of experience in fast-paced, results oriented environment. Excellent critical thinking and complex problem solving skills. Track record of achieving exceptional results in analyzing organizational data, identifying trends and providing actionable business insights. Principal trainer for all compensation related processes and procedures. Conducts job analysis and audits for classification studies. Includes base pay, differential pay, short-term & long-term incentive pay, supplemental pay, and bonuses. Benchmarks and performs Ad-hoc analysis for internal and external positions including IT & Executive. Reviews Compensation requests, Job analysis questionnaires and job descriptions and makes recommendations for new positions, reclassifications, and title changes. Develops job descriptions. Creates new job codes, position titles, grades and incorporates into annual market analysis. Conducts the alternative work schedule (aws) process presentations for designated areas. Works with departments to implement aws options. Gives presentation on the aws, monitors voting process, tabulates votes and communicates results. Audits schedules types, verifies validity of aws on rate slips. Collaborates with talent acquisitions with job postings, promotions, transfers & recruitment matters. 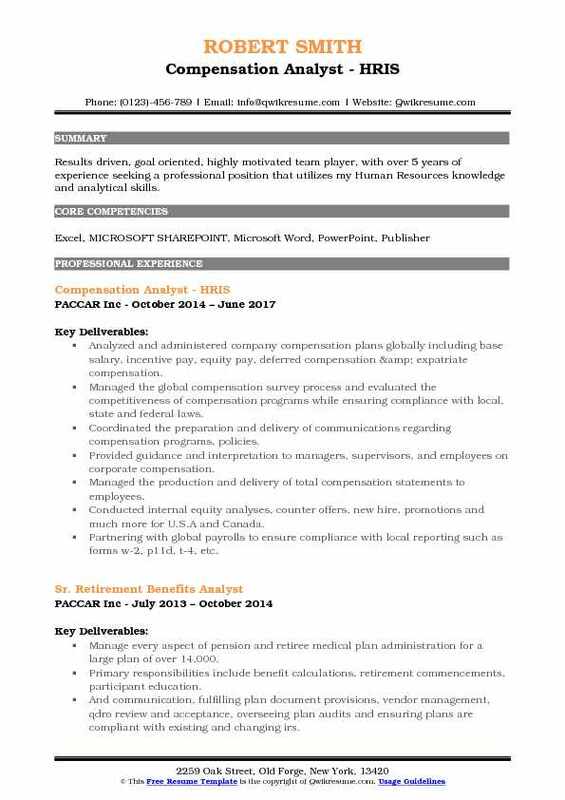 Summary : Highly driven, Conscientious, experienced Compensation Analyst with over 15 combined years of experience in Human Resources, Benefits and Compensation, and Industrial Engineering/Quality Analytics. Skills : Microsoft Excel, Access, PowerPoint, practical application of Adobe, Lawson HCM & Talent Management Software, Kronos Workforce Management systems. Act as an Internal Consultant to the leadership team in the identification, development, and implementation of successful system processes to improve the operations of the compensation program. Prepare and present highly complex compensation program changes to the senior leadership team, including CEO, CFO, and all divisional vice presidents. Ensure that the compensation programs are market-competitive by comparing existing company compensation structure with benchmark employers, and providing analysis and recommendations as necessary. Assure, through analysis, reports, and personal employee/leader contact that company compensation programs are consistently administered in compliance with company policies and government regulations. Maintain current knowledge of federal, state(s), and local compensation and affirmative action laws and regulations in order to ensure company compliance. Reconcile reports and billing for the following employee benefit programs: 403b retirement savings plan, annual benefit fund, pension plan, union dues, health & welfare. Maintain a working knowledge of department of labor compensation program regulations like FLSA, SCA/DBA. Summary : Energetic, detail-oriented Compensation Analyst with excellent analytical skills and extensive experience in creating solutions using innovative and complex tools in ambiguous and fast paced environment. Work with Human Resource business partners to analyze exempt and nonexempt sales roles to determine job titling, and make pay and grade recommendations. Work with headquarters and business partners to prepare and administer long-term incentives to be rolled out for employees. Analyze and provide meaningful insights with quick turnarounds based on business requests and in support of compensation programs. Instigate effective controls to ensure the integrity of all sales commissions and incentives. Administer and assist in design of sales plans, develop sales incentive calculation queries in access or excel, and effectively communicate results and resolve compensation inquiries for sales teams. Administrator for IBM Cognos (Varicent) software through which reports, dashboards are shared to the business stakeholders. Perform ad-hoc analysis associated with the account and sales performance, sales force alignment and budget design. 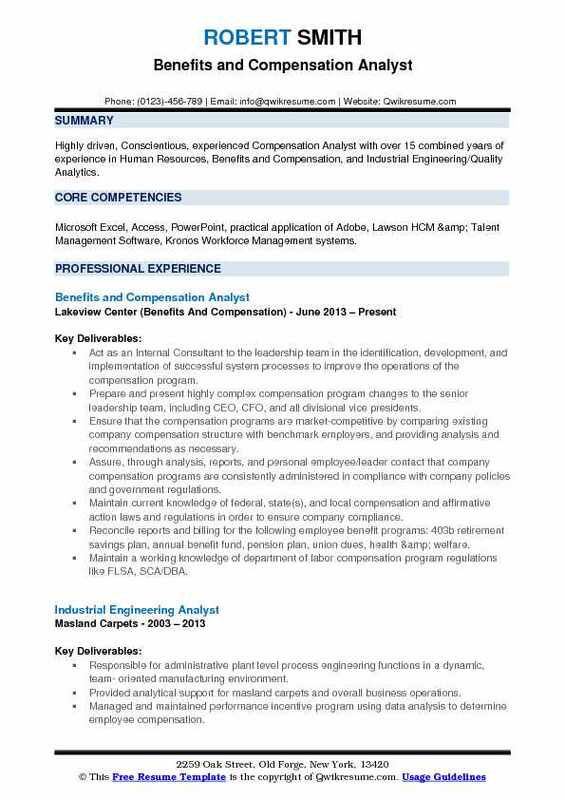 Headline : Working as a compensation analyst II for more than 5 years. Proven success aligning compensation/H.R. initiatives with organisation - wide goals Superior multi-tasking, project management and communication skills and capacity to deliver results under pressure. Supports the evaluation, design, and implementation of compensation programs, conduct analyses of compensation data, support projects such as survey participation, evaluation of external market competitiveness, internal equity analyses and incentive program evaluation. Maintains compensation guidelines and assists in developing internal and external employment offers within guidelines working with recruiting and HR business partners. Assists with the establishment of salary structures support the annual focal review process and auditing of Hr data to ensure changes are accurately made. Ensured compliance with all applicable laws including FLSA and other related requirements as defined by the DOL and IRS. Analyzed company compensation policies in relation to government wage and hour regulations, prevailing rates for similar jobs in comparable industries or geographic areas and recommended changes as appropriate to establish and maintain competitive rates. Analyzes organizational pay practices and makes recommendations to management for salary changes to ensure equity. Periodically develop Kronos queries and run reports to analyze data and ensure internal equity. 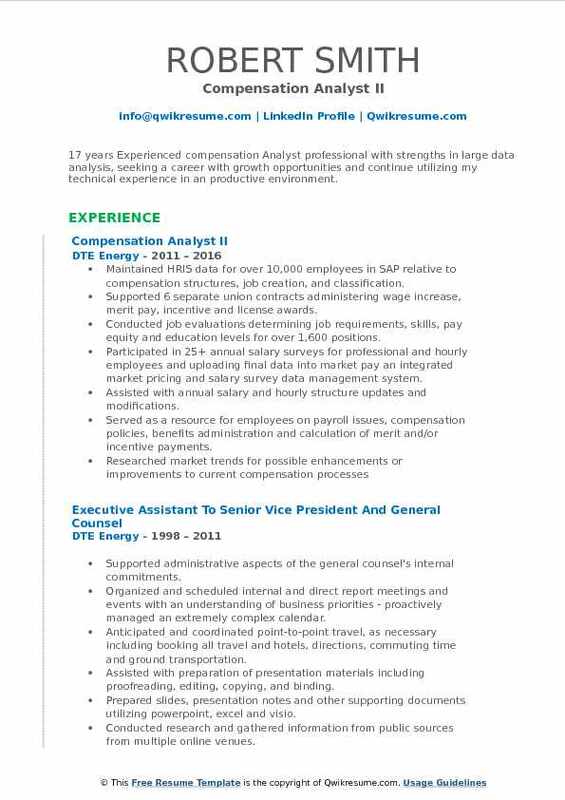 Summary : 17 years Experienced compensation Analyst professional with strengths in large data analysis, seeking a career with growth opportunities and continue utilizing my technical experience in an productive environment. Maintained HRIS data for over 10,000 employees in SAP relative to compensation structures, job creation, and classification. Supported 6 separate union contracts administering wage increase, merit pay, incentive and license awards. Conducted job evaluations determining job requirements, skills, pay equity and education levels for over 1,600 positions. Participated in 25+ annual salary surveys for professional and hourly employees and uploading final data into market pay an integrated market pricing and salary survey data management system. Assisted with annual salary and hourly structure updates and modifications. Served as a resource for employees on payroll issues, compensation policies, benefits administration and calculation of merit and/or incentive payments. Summary : A dedicated professional with 16+ years combined work experience in human resources, most recently with a compensation focus. 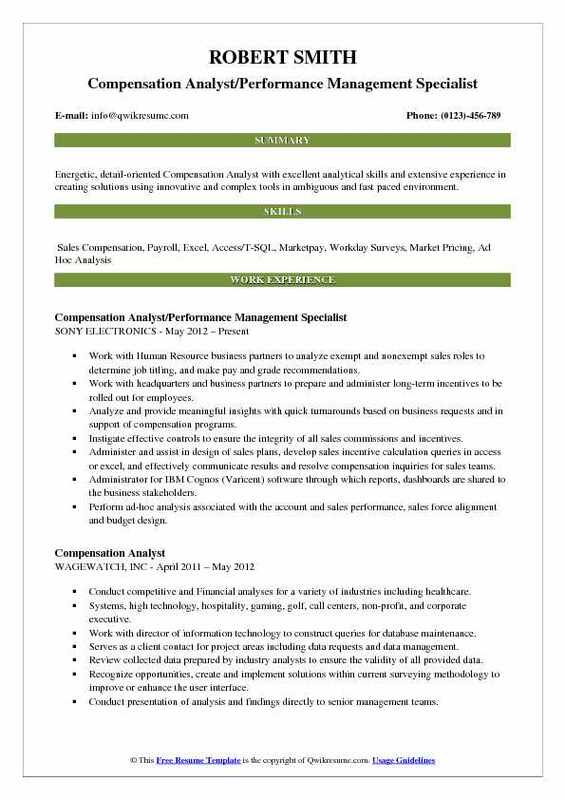 Special skills include compensation management, performance management, and compensation Analysis. Managed the corporate compensation program across three domestic locations and three international locations with a total of 760 employees to ensure equitable pay across the organization. Effectively serve as the compensation lead to the senior executive team on providing direction on compensation matters. Play a key role as a member of the compensation committee to determine and approve pay issues and programs that are outside of the normal compensation plan. Direct the planning and administration of the annual merit process, corporate incentive plan and spot award. Manage the performance management cycle and system so that all employees remain engaged as a result of on-going feedback; implemented and trained staff on new performance management system. Review and maintain job descriptions to ensure leveling structure, pay ranges and job titles are consistent across the organization. Generate benchmark/market data analysis for individual jobs to make sure salaries are competitive, internally and externally. Headline : Highly motivated, organized and proactive Compensation Analyst with strong communications skills and a proven track record of problem-solving, seeking a position at an organization where I can utilize my proven leadership skills to support effective business operations. Administered annual compensation planning processes to include calibration/contribution rating process and salary/bonus programs including the development of program guidelines, communication, and implementation plans. Responsible for ongoing compensation administration activities to include equity reviews, promotions, job offers, and other award programs and performed statistical analysis. Coordinated staffing and recruiting activities with staffing team for new hires and internal transfers, reassignments, leaves of absence, and employee terminations. Assisted in annual leadership review process facilitation and data validation in talent works and business objects. Planned, coordinated, and developed material for events, such as people day and annual leadership reviews. Assisted in creation of mobile application of company talent supply for the operating committee, and managed talent pool selection process to help identify new talent members. In depth analysis using excel pivot tables, v-lookups and advanced formulas. 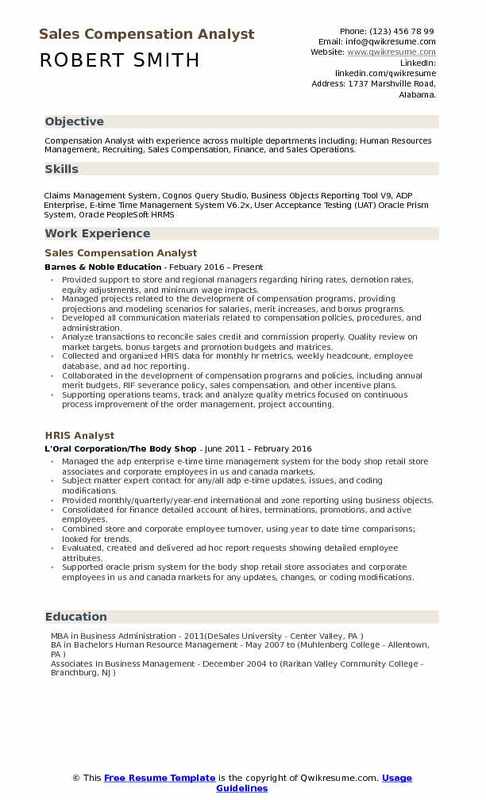 Summary : I am a qualified professional with over 7 years' experience in Office Management with special skills in HR management, Payroll preparation, and Financial Accounting. My work ethics, attention to details. Positive attitude and willingness to learn and adapt have allowed me to excel in new areas. Provide support to human resources and other hospital organizations using data-driven reporting, ensure data integrity in core hr systems for compliance purposes, conduct data analysis in support key business decisions, and support the annual merit increase evaluation process. Created HR business function process maps for a PeopleSoft 9. 2 implementation. Designed test scenarios, performed system testing and data validation for system implementations. Lead several compliance initiatives to revise employee hierarchies, identify missing performance records and ensure data integrity for leave of absence records. Managed pre-processing of merit increase evaluations, advised management on merit increase guidelines and solicited increase decisions. Completed compensation surveys and analyzed results to determine job grades. Responsible for development and update of reports that support hr business functions, managers, and affiliates. 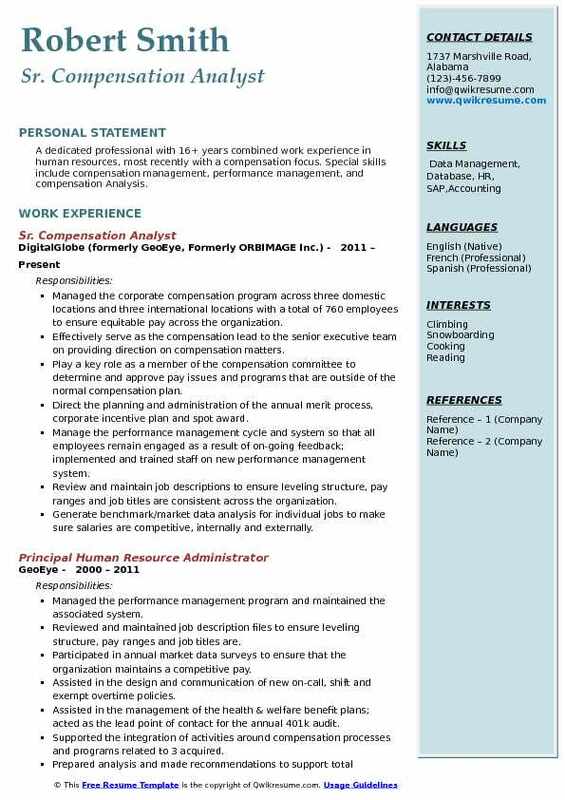 Objective : Results driven, goal oriented, highly motivated team player, with over 5 years of experience seeking a professional position that utilizes my Human Resources knowledge and analytical skills. Analyzed and administered company compensation plans globally including base salary, incentive pay, equity pay, deferred compensation & expatriate compensation. Managed the global compensation survey process and evaluated the competitiveness of compensation programs while ensuring compliance with local, state and federal laws. Coordinated the preparation and delivery of communications regarding compensation programs, policies. Provided guidance and interpretation to managers, supervisors, and employees on corporate compensation. Managed the production and delivery of total compensation statements to employees. Conducted internal equity analyses, counter offers, new hire, promotions and much more for U.S.A and Canada. Partnering with global payrolls to ensure compliance with local reporting such as forms w-2, p11d, t-4, etc. Summary : Professional with over twenty-five years experience assisting individuals with their needs. Diversified skills include supervision, compensation Analysis, human resources, recruiting, auditing, and administrative support. Served as compensation lead in a mid scale reorganization consolidating two units into one. Market priced jobs and expanded on career paths. Worked collaboratively with various levels of management, employee relations, and staffing to determine impact and reclassify incumbents. Led corporate-wide clerk project. Developed new career path for corporate clerk jobs by consolidating current path and eliminating redundant jobs. Improved current job evaluation process by eliminating the need for paper copies and an FTE to scan documents. Created presentation and trained Hr staff on what became the first of compensations pay equity reports. This was designed to assist Hr areas to better analyze compensation data and make better recommendations more quickly. Served as technical lead by reviewing and approving job evaluations for all non-exempt jobs submitted by compensation staff for both Highmark and subsidiaries. Conduct training for new management on compensation processes, policies, and philosophy. Supported Medicare division by assuring pay ranges were kept up to date based on revisions of wage determinations. Ran monthly reports and completed the analysis to assure all Medicare employees were being hired at the minimum. 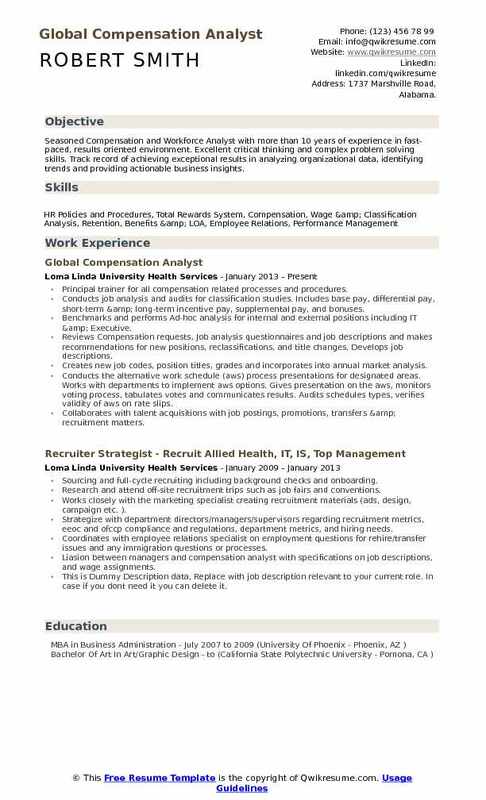 Summary : Professional with over 12 years experience as Compensation Analyst have strong analytical and problem-solving skills. Collaborated on a variety of projects, including program design, analysis, market analysis and job leveling, participated in surveys and analysis. Provided consultation for job evaluations, compensation studies, and classification for assigned units. Supported and coached management of by performing desk audits and designing organizational charts. Documented and approved workflow of electronic transactions to streamline processes and ensured compliance with university regulations and standard human research practices. Coordinated with human research business partners to educate managers on various compensation strategies. Ensured that data entry [peoplesoft] met internal equity standards, reflected salary structures and job codes. Assisted human research managers, recruiters and university community with compensation-related issues to align strategy with human resources principles and practices as it related to benefits, recruitment, talent. 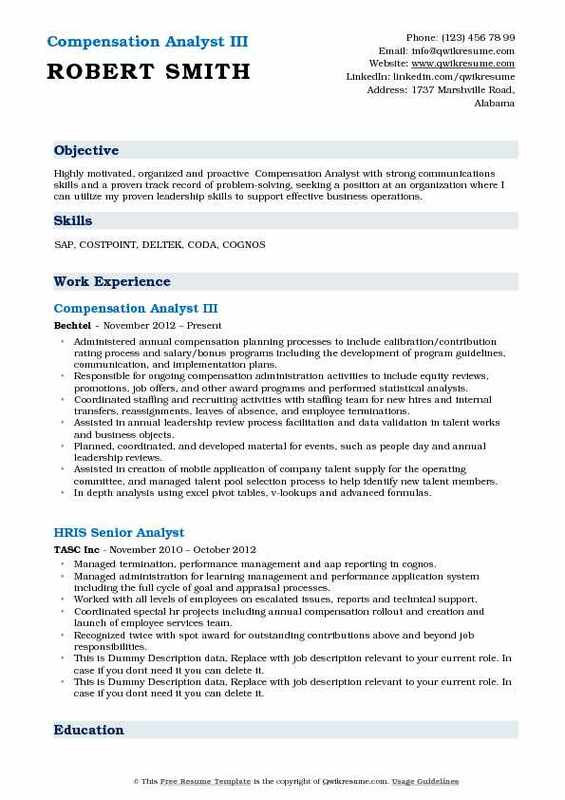 Summary : Compensation Analyst with experience across multiple departments including; Human Resources Management, Recruiting, Sales Compensation, Finance, and Sales Operations. Provided support to store and regional managers regarding hiring rates, demotion rates, equity adjustments, and minimum wage impacts. Managed projects related to the development of compensation programs, providing projections and modeling scenarios for salaries, merit increases, and bonus programs. Developed all communication materials related to compensation policies, procedures, and administration. Analyze transactions to reconcile sales credit and commission properly. Quality review on market targets, bonus targets and promotion budgets and matrices. Collected and organized HRIS data for monthly hr metrics, weekly headcount, employee database, and ad hoc reporting. Collaborated in the development of compensation programs and policies, including annual merit budgets, RIF severance policy, sales compensation, and other incentive plans. Supporting operations teams, track and analyze quality metrics focused on continuous process improvement of the order management, project accounting. Summary : Performance driven professional with over 10 years of experience. 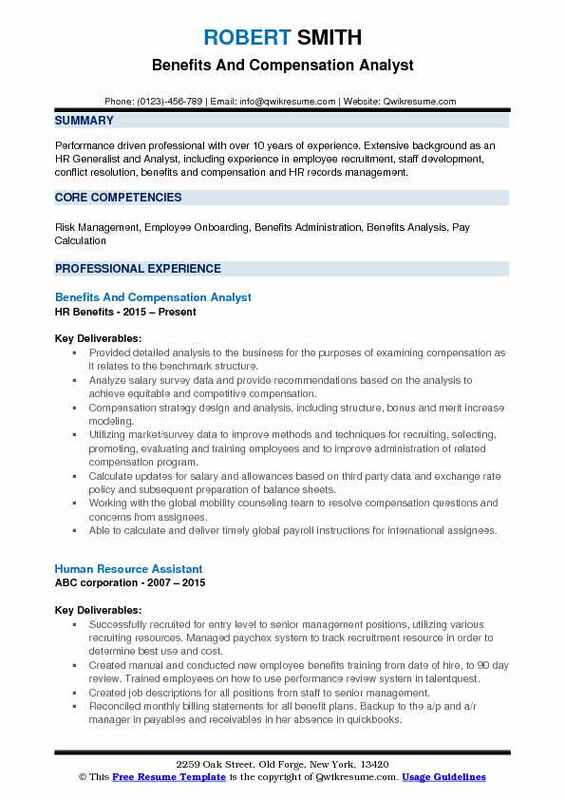 Extensive background as an HR Generalist and Analyst, including experience in employee recruitment, staff development, conflict resolution, benefits and compensation and HR records management. Provided detailed analysis to the business for the purposes of examining compensation as it relates to the benchmark structure. Analyze salary survey data and provide recommendations based on the analysis to achieve equitable and competitive compensation. Compensation strategy design and analysis, including structure, bonus and merit increase modeling. 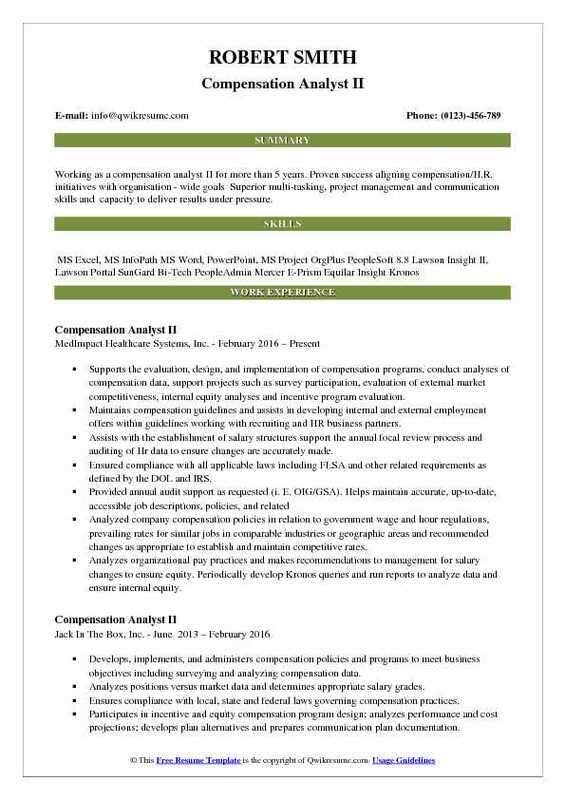 Utilizing market/survey data to improve methods and techniques for recruiting, selecting, promoting, evaluating and training employees and to improve administration of related compensation program. Calculate updates for salary and allowances based on third party data and exchange rate policy and subsequent preparation of balance sheets. Working with the global mobility counseling team to resolve compensation questions and concerns from assignees. Able to calculate and deliver timely global payroll instructions for international assignees.